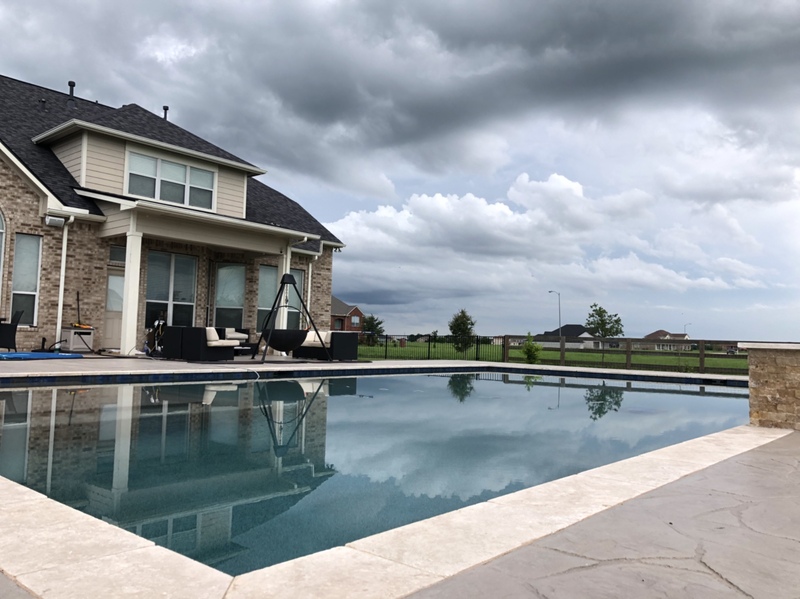 What does your pool paradise look like? I have been a long time member and owned a Intex inflatable ring type pool for a few years. I have since move houses and now have an inground pool. Over this spring my wife an I have done a lot to spruce it up. I have to take some photos this weekend but will post some teasers now. 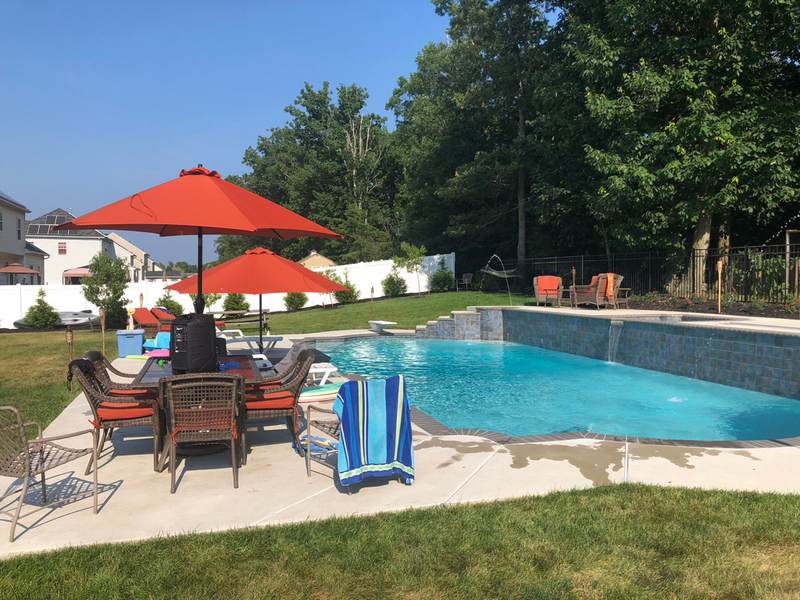 What does your pool paradise look like? I would love to see tuns of photos of other members pools and pool side decorating in hopes to get some ideas for mine. I'm sure others would love to see as well. 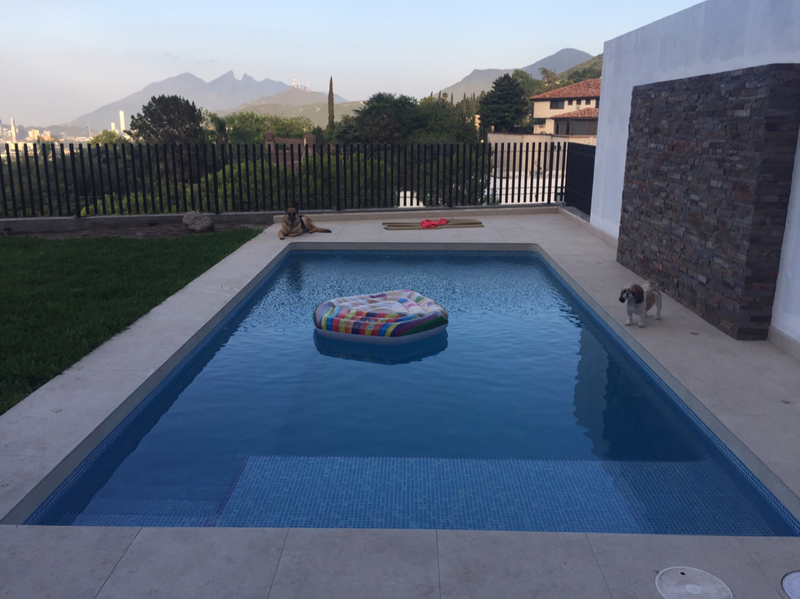 To give some context to the photos Some are from the first opening of the pool this spring, the others are the installation of the safety fence and a few of articles around the pool currently. I will post more last this weekend. PARADISE is truly the best word to describe a backyard oasis!!! WOW very cool, I love the boys shorts, I'm guessing this photo was taken on the 4th lol. The basketball net looks awesome! We have a very similar shaped pool. That's interesting because so many people say how unique our pools shape is. edit: and yes, you were correct, it was the 4th of July! Nice job getting it open and ready for fun! Both of those pools show how it can be done when you think outside the box. What wonderful areas they are! 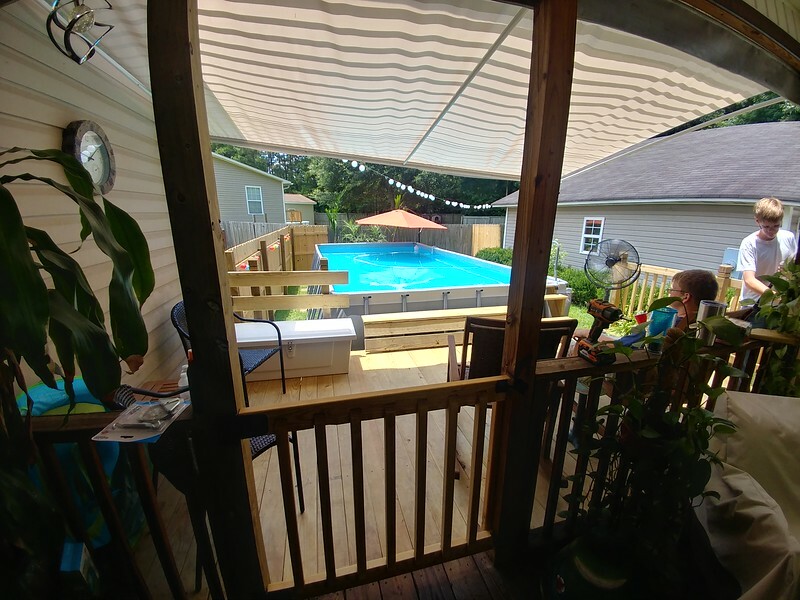 We like shade so it's all about the patio cover. Just finished construction on the cover in this shot so there's no furniture in the pic. Still kind of new to this so it is a bit of a work in progress. This is where we are now. 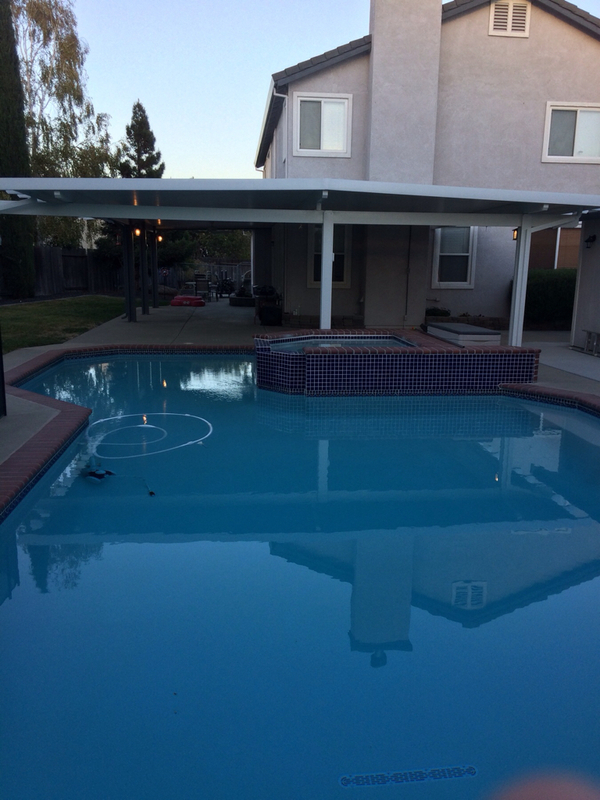 Here’s our backyard pool paradise. If you’re backyard is paradise, you never have to go on vacation. We want to build a outdoor kitchen at some point. Just looking at this photo makes me hot lol. I like what you did wit the umbrella. Giving a full sun pool some shade. Great new deck! I've added a about 5-6 new photos I took over the weekend. Hopefully you enjoy and let me know if you have any ideas Black the amazon photos link to view. I love the fire pit! Ours is always in the works, The more I float around with a beer the more time I have to look around and think of ideas. I have been put on notice by Daughters to stop cluttering, they have a better word but can't post. Love the water spouts Esloser , thought about them but cant wrap my head around how they would work with an AG pool or which brand. What beautiful and unique pools everyone has! I love seeing everyone’s backyard paradise! Pool math app. Does it need internet all the time?